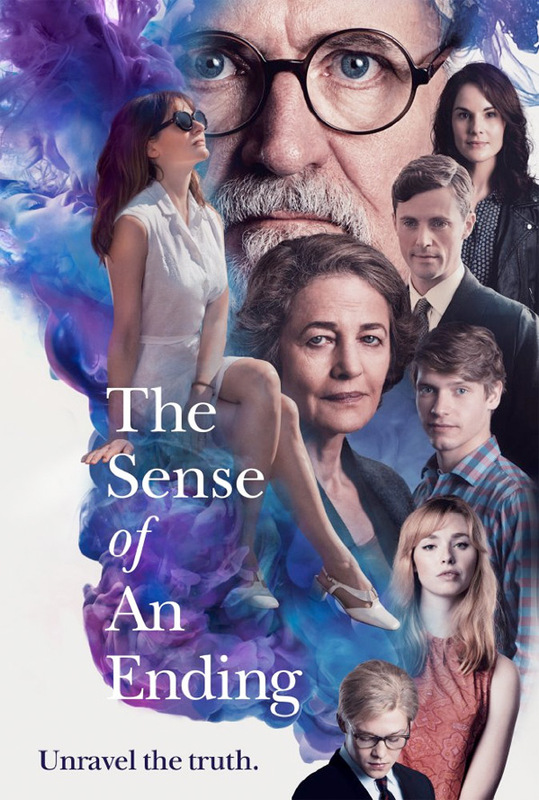 "What you end up remembering isn't always what you actually witnessed…" CBS Films has revealed a trailer for a film titled The Sense of an Ending, an adaptation of the novel by Julian Barnes. The movie stars Jim Broadbent as Tony Webster, a man who becomes haunted by his past and is presented with a mysterious legacy that causes him to re-think his life. He receives a letter that makes him look back at one of his early relationships. The cast includes Charlotte Rampling, Michelle Dockery, Emily Mortimer, Harriet Walter, Joe Alwyn, Freya Mavor, and Billy Howle. I'm a big fan of director Ritesh Batra, who directed The Lunchbox, and this is his next film. It looks like it builds to something very powerful at the end. Tony Webster (Jim Broadbent) leads a reclusive and quiet existence until long-buried secrets from his past force him to face the flawed recollections of his younger self, the truth about his first love (Charlotte Rampling) and the devastating consequences of decisions made a lifetime ago. The Sense of an Ending is directed by Indian filmmaker Ritesh Batra, of the film The Lunchbox (which I really, really love - read more here) previously. The screenplay is written by Nick Payne, adapted from Julian Barnes' novel of the same name. The film has not premiered at any film festivals or otherwise yet. CBS Films will release The Sense of an Ending in US theaters starting March 10th, 2017 next year. Anyone interested in seeing this? That woman with the sad eyes is a great actress.